Berlin is an amazing city with tangible historical importance and a melting pot of different cultures and flavors. 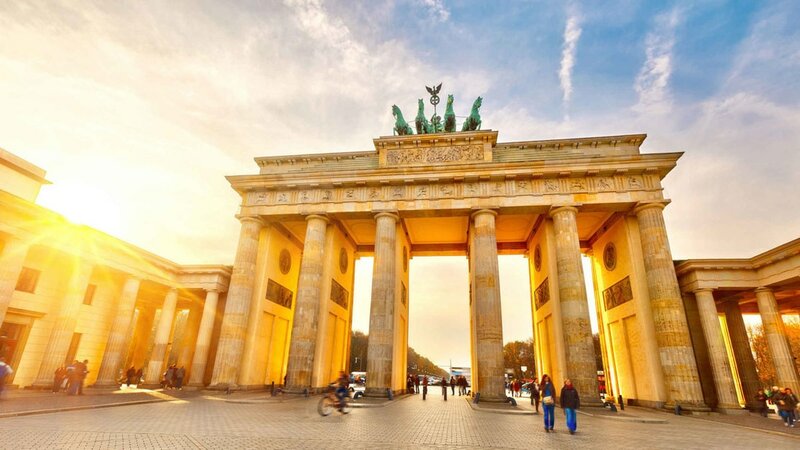 The very name Berlin conjures images of the famous Berlin Wall. Two sections of the wall still remain on display- the East Side Gallery, where artists have decorated the remaining section of the wall, and the Berlin Wall Memorial (Gedenkstatte Berliner Mauer). Down the street from the Berlin Wall is the Haus am Checkpoint Charlie, a museum that documents the history of the wall, and interestingly, many of the different ways people tried to escape. Learn about all of the creative ways used to cross over to the other side. After, you can head over to the Brandenburg Gate, another spot of great historical significance. Here, hundreds of thousands of people were finally able to cross from the East side to the West after the fall of the wall. It has traditionally, and continues to be, a political rallying point for different groups and concerns. If you are still craving museums, Berlin has plenty! Visit the Pergamon Museum, home to one of the world's greatest collections of ancient architecture and art. Also give the Egyptian Museum (Agyptisches Museum) a try as it houses many Egyptian artifacts and the Judishes Museum tells the story of the relationship between the Germans and the Jews throughout the last few centuries. Art lovers will enjoy the Deutsche Guggenheim Berlin Museum with plenty of modern art that is sure to spark interest and curiosity. The Berggruen Collection at the Die Sammlung Berggruen is also a must-see. Here, see an extensive art collection of Picasso, as well as paintings by Klee, Cezanne and Van Gogh. For those interested in Berlin's government, past and present, visit the Reichstag (Please note: you need your passport to enter the Reichstag. It is well worth it, so make sure you have it on your person if you plan on visiting this important building), home to the German parliament. Here, you can go up to the glass dome for a view of Berlin, or learn about the fascinating history of the building. For more history from this grim period, visit the Topographie des Terrors, a row of old cellars where prisoners were tortured. See the hundreds of pictures from the era and read the newspaper clippings to get a better understanding of what went on in the cellars and throughout Nazi Germany. Another moving sight is The Memorial to the Murdered Jews of Europe, also known as the Holocaust Memorial. This visually striking memorial to the Jewish victims of the Holocaust was designed by American architect Peter Eisenman and consists of hundreds of cement pillars of various heights. ​Finally, for an amazing view of Berlin, visit the famous Berlin Television Tower with a viewing room and cafe located 203 meters above ground, providing sweeping views of the city. Take a scenic trip to Prague, the capital of the Czech Republic. 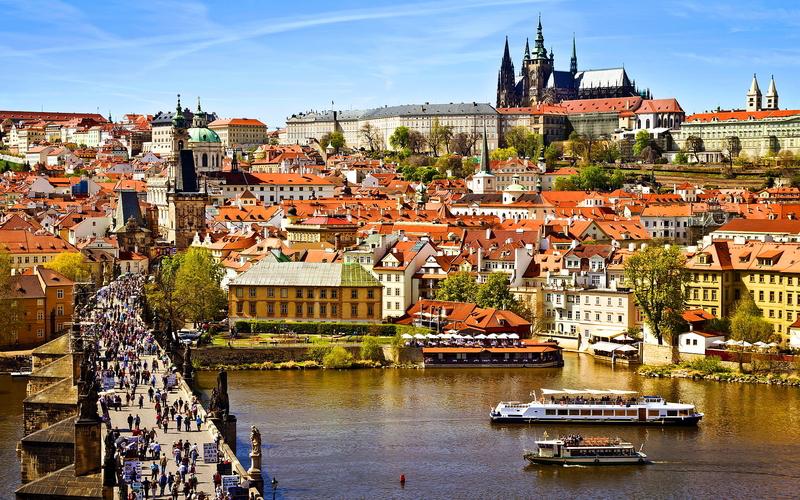 Prague is regarded by many as the unspoilt jewel in Europe’s historic crown. As well as the chance to visit all the major sights of the Old Town and Hradcany (the Castle of the Bohemian Kings), we have time to simply soak up the atmosphere of a unique community. Just a stone's throw away is Charles Bridge, by day thronged with vendors and street musicians. At night, the bridge is less crowded, and it's much easier to appreciate the scenery as well as the ever-so-slightly sinister quality of the statues looming overhead. Cross the bridge and you'll find yourself in Mala Strana, a far less crowded district that offers the perfect atmosphere for some introspective wandering. If you can handle the stairs, climbing the hundreds of steps to the famous Prague Castle (known as Hradcany), you'll be rewarded with a glorious view of the city. Like Charles Bridge, the castle is best enjoyed at night, when there is dramatic lighting and few visitors. The Prague Ghetto, which includes the Jewish Cemetery and Synagogues is one of the famous areas of Europe where the Jews of the city lived and thrived before WWII and definitely worth a visit. Prague certainly has no shortage of breathtaking views and the next hill over from the castle, Petrin Hill, offers a less obstructed panorama-style view. If you're not in the mood for hiking uphill, you can always take a cable car all the way to the top. Krakow, one of the most charming cities in Eastern Europe. 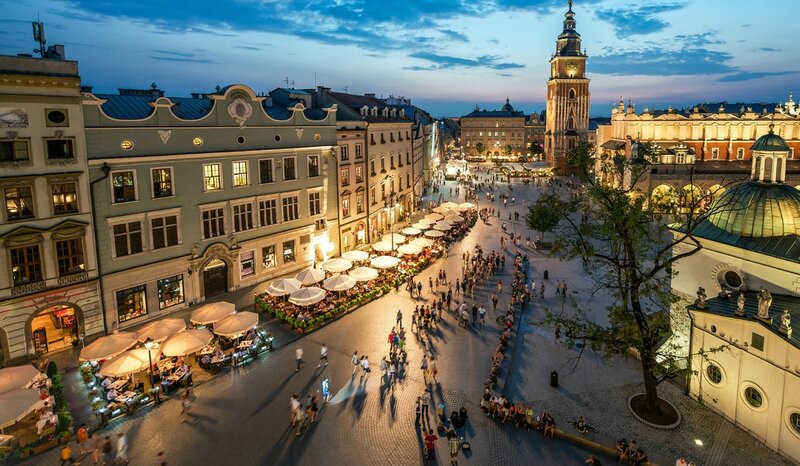 Head first to the center of everything- the Old Town’s Rynek Glowny square, one of the world’s largest medieval squares. You can sit for hours watching the people wander by over the cobblestoned streets. Make time to indulge in the mighty carbohydrate, Poland’s favorite food group. As the birthplace of the bagel you can sample them from vendors in the square or eat your body weight in the most delicious of Polish delicacies, the pierogie. These little ravioli-like pouches filled with all sorts of things, the best being mashed potato, will tempt you to work your way through each variety during your stay. To really eat like a local, go to a “milk bar” where you can line up with the locals for traditional cheap polish food, cafeteria style! When you awaken from your carb-coma, visit the royal castle perched on the Wawel Hill, providing a great view of the city. We will as a group visit the site of one of history's most horrific crimes, Auschwitz-Birkenau, a short distance from Krakow. The site embodies tragedy, inhumanity and the survival of will. Today the museum stands testament to the inconceivable atrocities of the Second World War, whilst paying tribute to the thousands of lives unjustly taken within. For some of the history that makes Krakow so famous, visit the former Jewish district with its 7 synagogues, which was used as the location for filming the movie Schindler’s List. Three gigantic Gothic churches and more than 800 pubs are huddled in nooks and alleyways where time slows down.